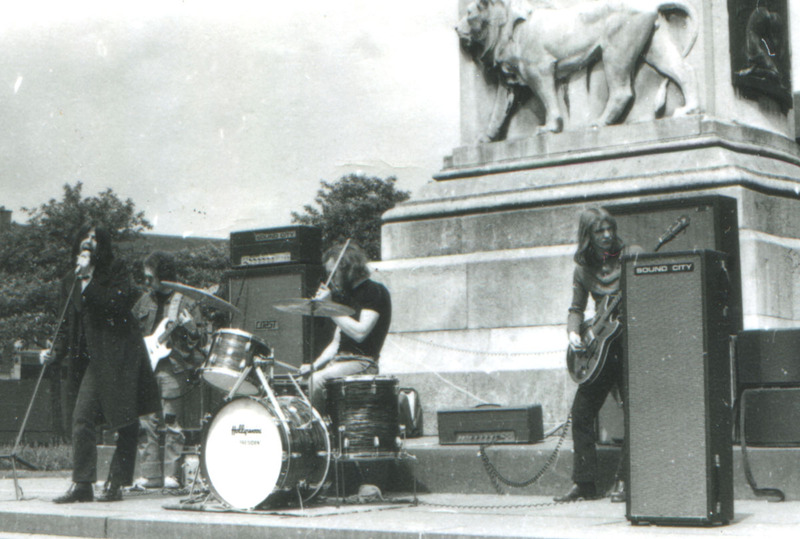 My first band Bullfrog formed in 1969. I have always said there is only one picture of the original 1969 line-up and that’s a Sunday Sun clipping from when we gave an impromptu concert on Eldon Square. However, I have just re-discovered these tiny “proofs” in my scrapbook. I’m scanned them at a ridiculously high resolution and they’re coming out reasonably viewable.